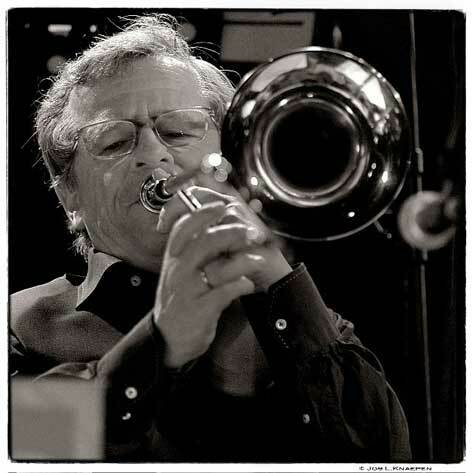 Van Lier comes from a musical family, his father Cor van Lier worked as a trumpeter, and his older brother is the bass trombonist Erik van Lier. Since the age of eight he played cornet in the Loosdrecht Fanfare Nieuw Leven, then move to the trombone. At 18, he became a member of the VARA Tansorchesters. While studying in Hilversum he played with the Skymasters, the Ramblers and in orchestras under the direction of Tony Nolte and Rogier van Otterloo. From 1976, he worked at Cees Slinger. Later he became one Peter Herbolzheimer Rhythm Combination & Brass and worked in the Netherlands as a busy studio musician. Van Lier taught since 1988 at Rotterdam Conservatorium. Since 1992 he has been principal trombonist with the Metropole Orkest, with which he can be heard on many recordings and guest soloists such as Al Jarreau, Zoot Sims and Toots Thielemans. He also played in the orchestra Cubop Nueva Manteca, led the trombone quartet Bart´s Bones and has also recorded with Rein de Graaff. In 2000, he was honored with the Jazz in Duke Town Award..